Who says women golfers are at a disadvantage to men? 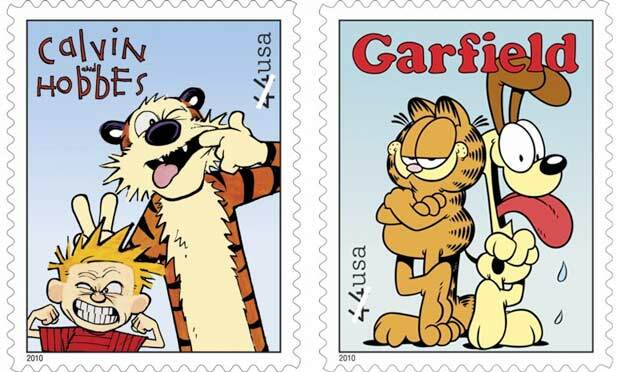 USPS Announces Calvin and Hobbes, Garfield Postage Stamps! The United States Postal Service has unveiled its 2010 Stamp Program, and among the new releases will be a collection called “Sunday Funnies,” a tribute to five of the most notable strips in comics history. Calvin and Hobbes and Garfield join Beetle Bailey, Dennis the Menace and Archie in the set, which is scheduled to go on sale in July.